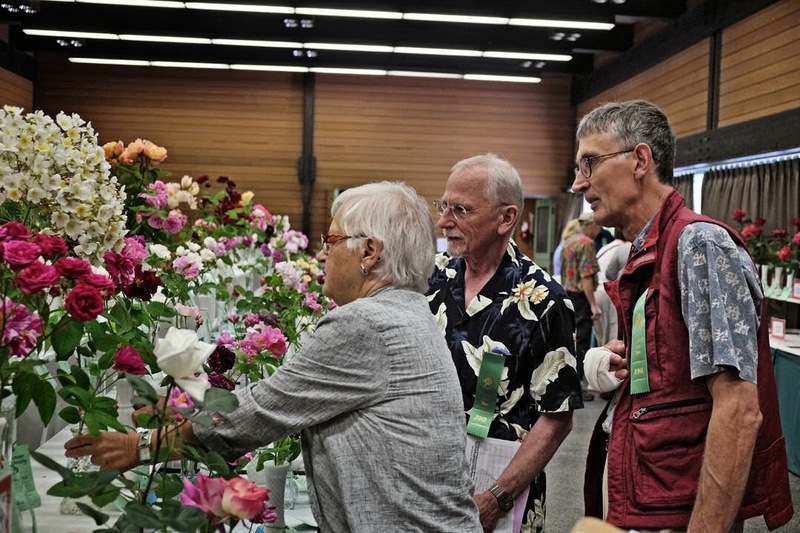 Sunday June 22 the Vancouver Rose Society held its Vancouver Rose Show at the Floral Hall of VanDusen. 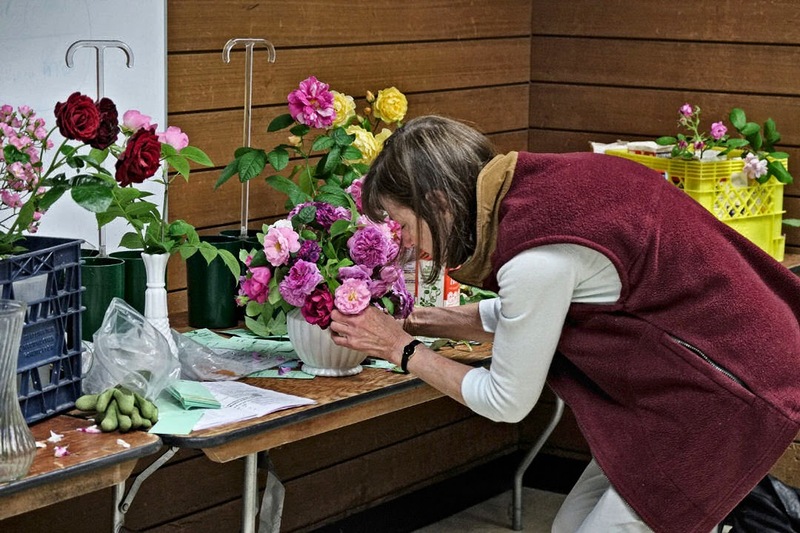 Had any of you reading this gone you would have found a large hall with rows and rows of perfect rose blooms, single ones and sprays in the three-sized vases the society provides for exhibitors. 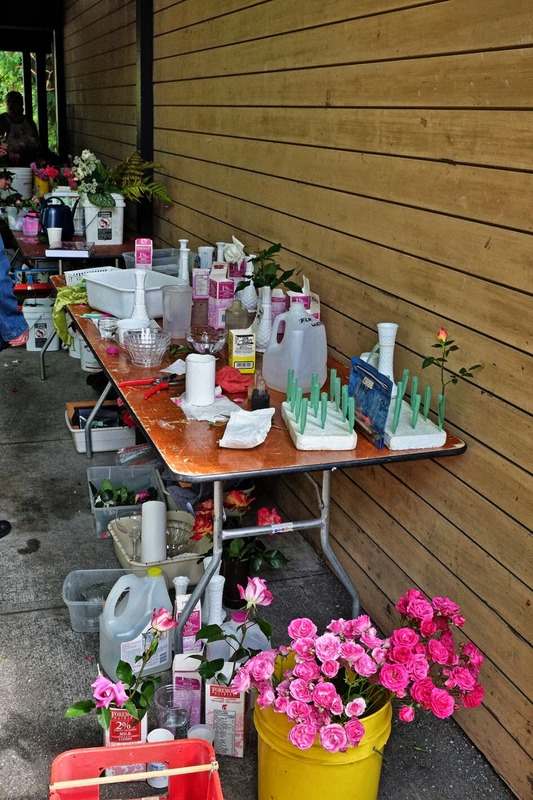 These roses were divided into a myriad of categories including modern shrub roses, old roses, hybrid teas, species and more you might have never ever heard of. Besides the specimens there were floral arrangements, roses in frames and my faves “the floaters”. 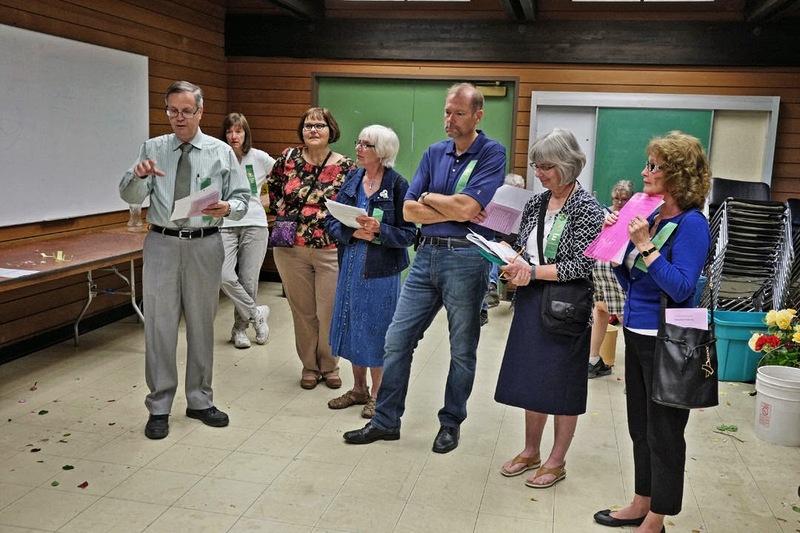 My adventure with roses began badly in 1988 when my Rosemary took me to a meeting (second Tuesday of the month) that was held at the Floral Hall. I experienced dull talks, projection of bad rose slides and to make it all worse my chair was awfully hard. I could not comprehend all the fuss about what seemed to be a silly flower that could not possibly compete with my pristine hostas. But slowly I came around. It might have been the fragrance; it might have been a sight of my first old rose. But to be honest today I am bonkers over roses because of one woman, Janet Wood who at the time was the president of the organization. Wood lives in Southlands. 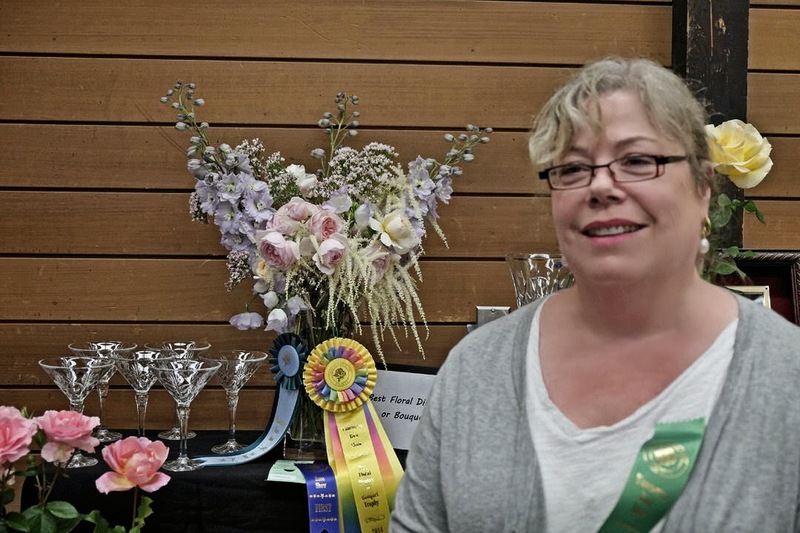 She moved there years ago when in pursuit of horse manure for her beloved roses (I think she might have lived in West Vancouver). Wood decided that she and her roses might better be close to the manure. Wood was the first person to advise us on which roses to place in our garden. Some were easy roses and some were awfully difficult (Rosa ‘Dainty Bess’ and the English Rose Rosa ‘Fair Bianca’ were the difficult ones). 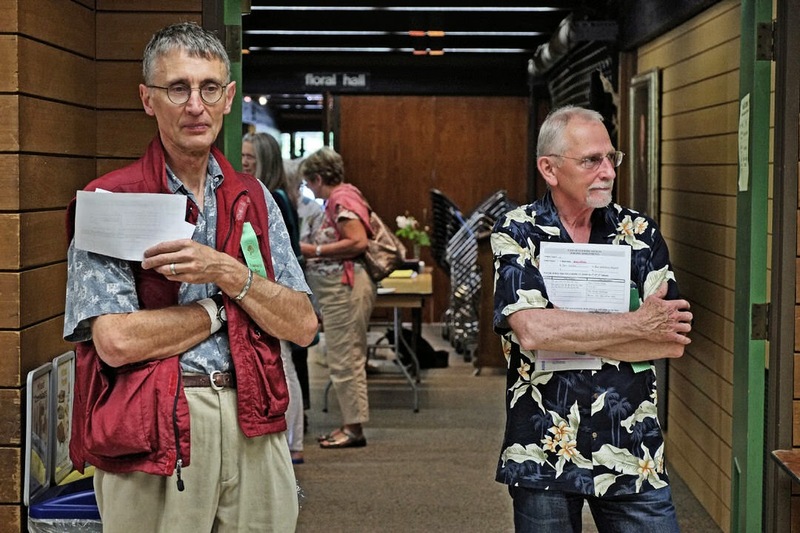 Such was Wood’s enthusiasm and always available for tips on pruning, etc that I became a convert. It was then that Rosemary switched to hardy geraniums and let me be with the roses. Since 1988 I have come to especially love the scent that the English call myrrh. I have the first myrrh rose, a Scottish plant called Rosa ‘Splendens’ Somehow in the mid 19th century a rose called Rosa ‘Belle Isis’ appeared that also had that distinctive scent. In 1968 David Austin (in Shropshire) crossed Belle Isis with Dainty Maid and the first English Rose, Constance Spry was the result. Of course it was myrrh scented. Because of my dislike of treating a rose, photographically like a tight portrait I have avoided taking pictures of my roses and resorted to scanning them. Through these scans I have become most intimate with the roses in the garden. 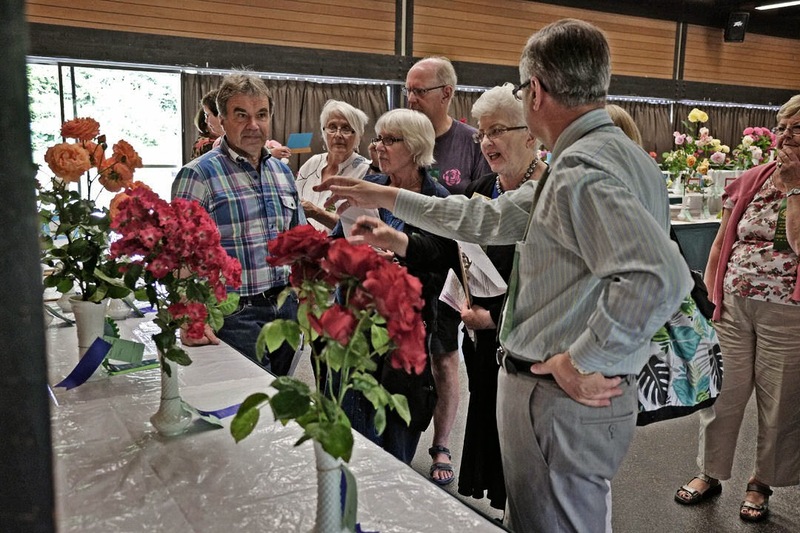 A week before the Rose Show, Rosarian (that’s what we call ourselves) Alister Browne explained how to show roses. 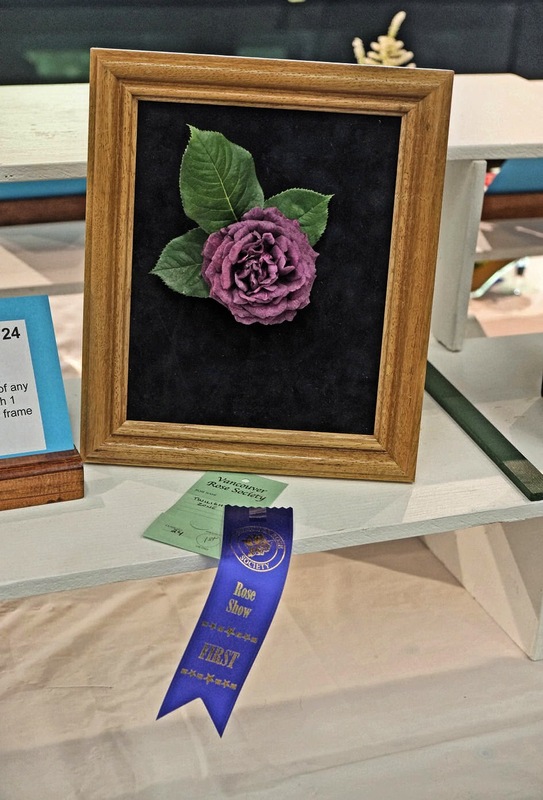 Since I have photographed dog shows in my past for magazines, I can tell you that there is no difference in the preparation of a poodle for a show or a rose for a show. And you never know if on the big day will the dog and or the rose perform for you? Luckily for dogs, their owners do not prepare them the night before by cooling them in the fridge. 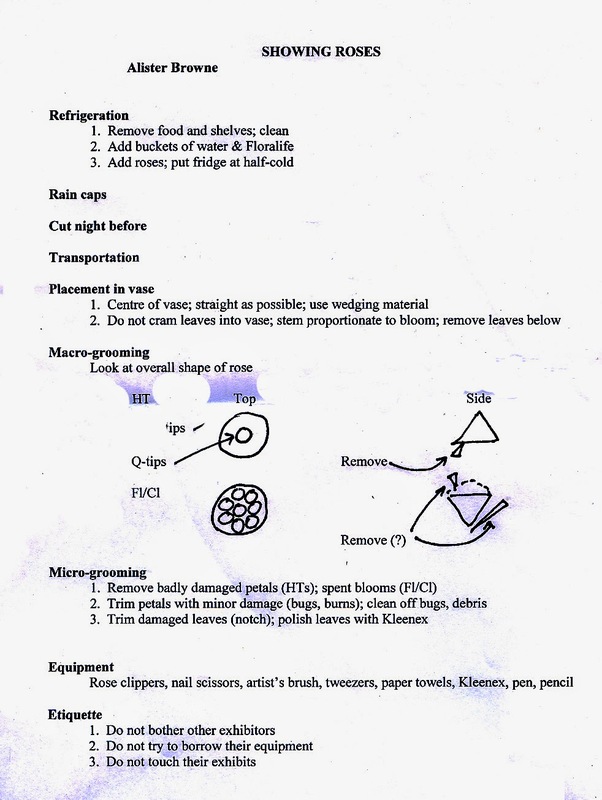 Of course I am not sure if Q-Tips, nose scissors, tweezers, nail scissors, Kleenex or pens are have gone to the dogs yet. 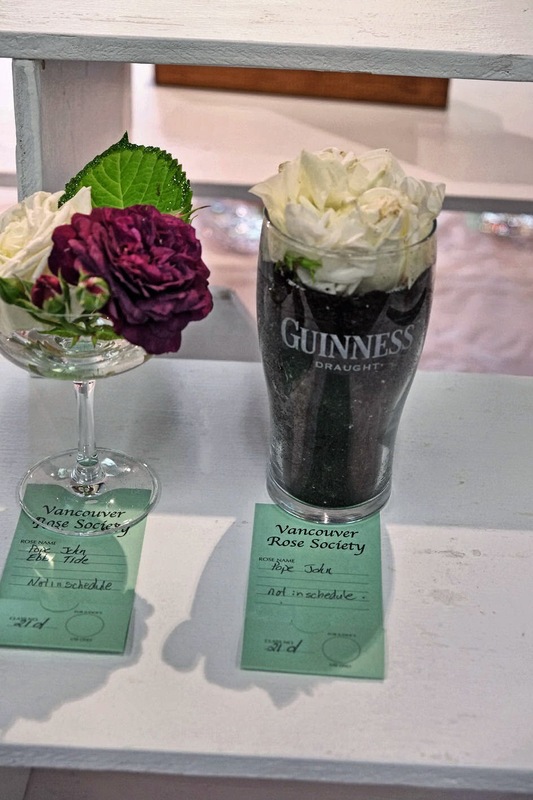 But they are valid and necessary items to preen exhibition roses. 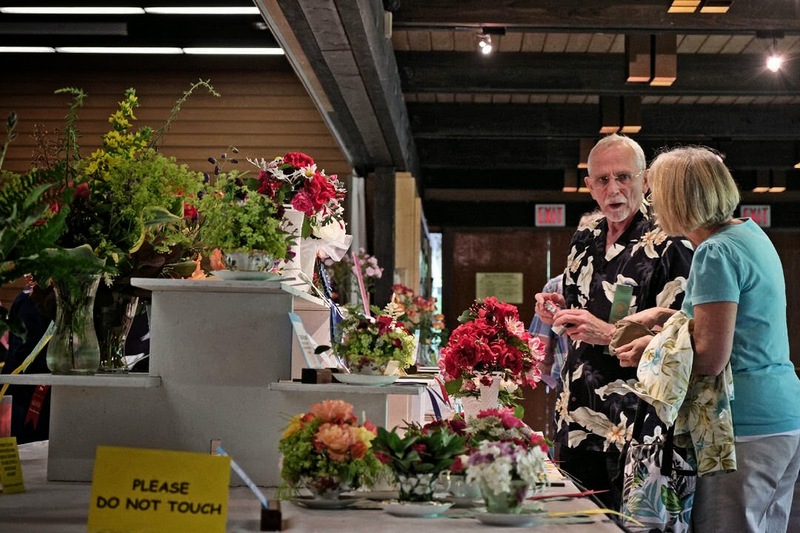 I showed up at the Floral Hall at 9:30 the morning of June 22 with some trepidation. We met in a separate room and everybody was awfully serious. And then we (Alex, Peter and I) began our rounds of the old roses, species roses and English Roses. 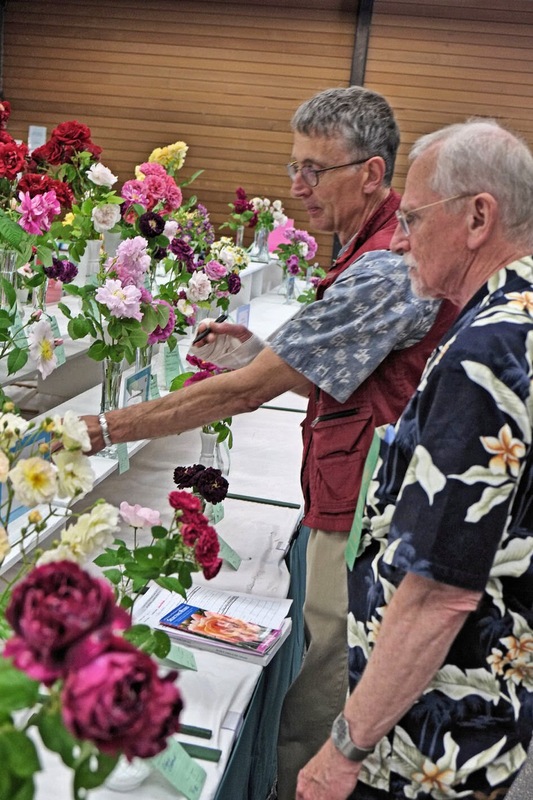 I was relieved that not only were we looking for a perfection of bloom but that both my fellow judges were looking at the displays for important symmetry or asymmetry in how they were displayed. The leaves were part of the package. Suddenly we were judging no mere botanicals but works of art. It was fun even though both my fellow judges kept their smiles to a minimum. 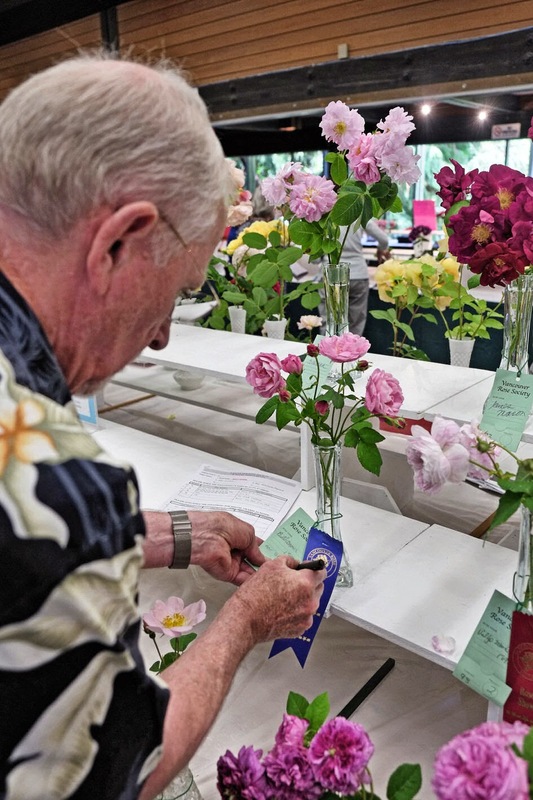 I did not catch on in the beginning when Alec would give me a pen and told me, “You and Peter decide on this one.” Of course we were judging one of his many entries as Globe has one of the best collections of Old Roses in his home in White Rock. 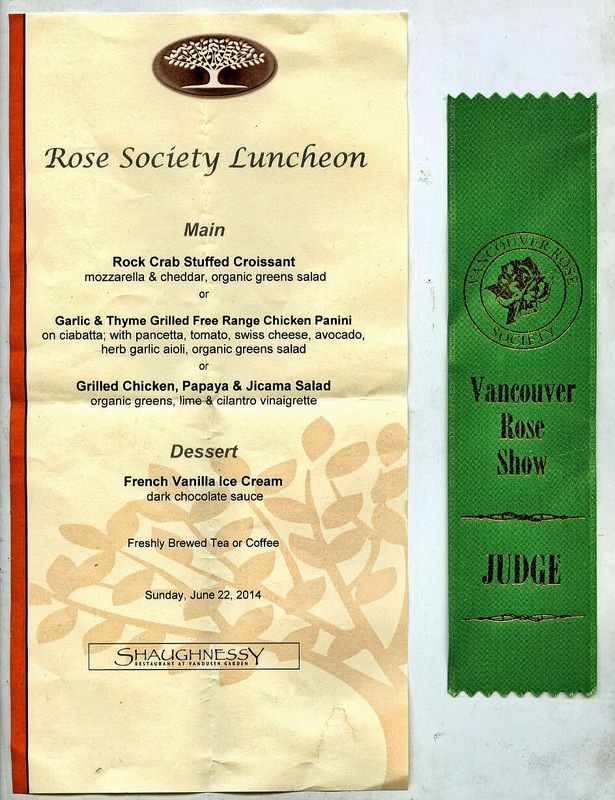 After the judging we were invited for lunch at the VanDusen Garden Shaughnessy Restaurant. 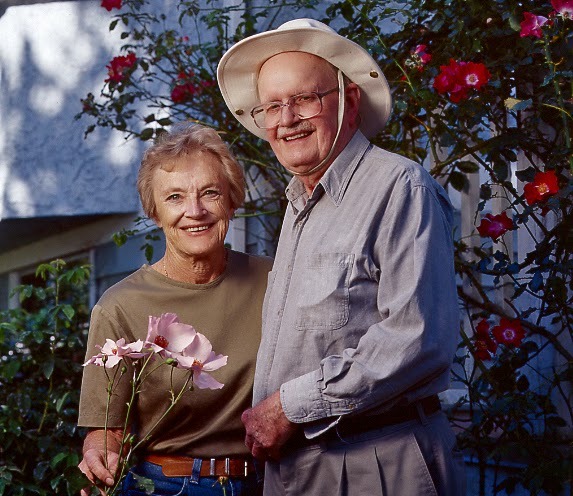 Lunch was hosted by Rosarian Bill McCarthy who in his garden in Mission has well over 1000 roses! 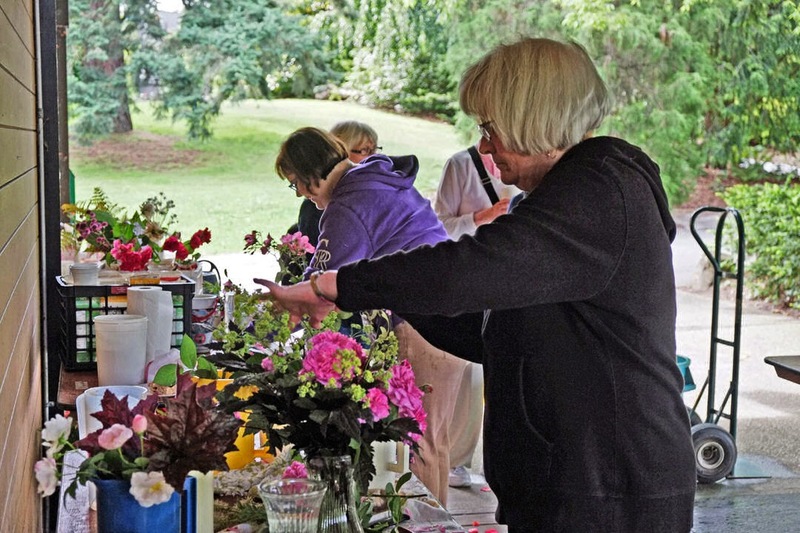 The best part of the whole day was to sit with fellow Rosarians and to talk shop without fear of boring anybody. And I do believe that I could have sat on a hard chair for hours to look at bad slides of roses and enjoyed myself immensely. 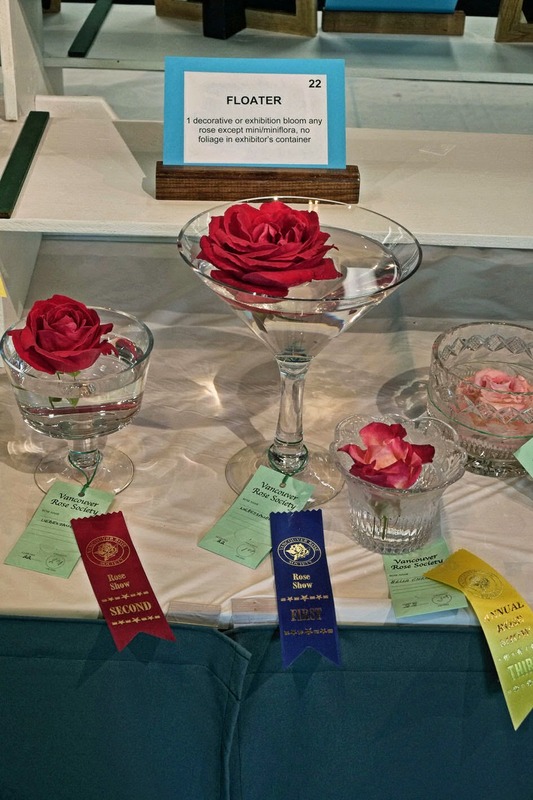 Addendum: The prizes are ribbons or little vases with an inscription that like the Stanley Cup you get to have at home for two years (the Rose Show is a biannual event). The glory and the fun is what counts. Now floaters are easy. The morning of the show, around 6:30 you cut a few roses and float each one in a nice bowl. You might win or not. It is not important, like showing off a poodle, you show off your rose. And that’s it.